Tamannaah Bhatia in an exclusive interview to a Bollywood diary speaks in detail about Baahubali 2: The conclusion. When asked about the climax of Baahubali 2, she says she is primarily the reason for Baahubali 2 climax and people will get to see a lot of her in the climax. She has specially trained for the sword fight and horse riding for this particular plot. When asked about what is the big difference between 2.0 and Baahubali 2, she said, apart from its scale there aren't any similarities. Baahubali is a historical film and 2.0, on the other hand, is too futuristic, and it is lame to compare both these films. She also concluded that Baahubali and 2.0 are introducing a new league to Indian cinema. 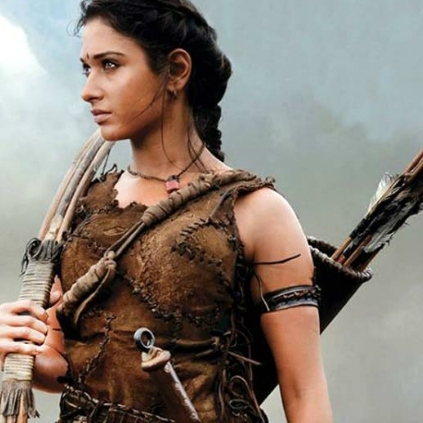 Finally, when asked if there would be Baahuballi 3, she said Baahuballi 2 will come to an end with the conclusion. People looking for online information on 2.0, Baahubali 2, Tamannaah Bhatia will find this news story useful.